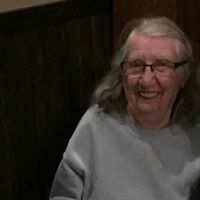 FAIRBANK -- Charlotte Marie Land, 85, of Port Angeles, Wash., formerly of Fairbank, died suddenly while traveling with her daughter, Diana, Saturday, Jan. 5, at St. Luke's Elmore County Hospital in Mountain Home, Idaho. She was born Jan. 7, 1933, in Lakin, Kan., daughter of Edna and Lionel Weldon. She married James Monroe Land on July 23, 1951, in Benton County, Ark. He died June 14, 2002. Charlotte was employed by Viking Pump of Cedar Falls for 21 years. She started as a janitor and then became a chipper and grinder. She was one of the first women employed by Viking Pump. Charlotte had recently moved to Port Angeles to live with her daughter and son-in-law, Diana and Tom. She attended a senior group at a Lutheran Church in Port Angeles. Survived by: a sister, Verna (Ralph) Phelps of Waukee; her children, Richard Land of Oelwein, David Land and William Land, both of Fairbank, Lynda Land of Grundy Center, Charlene (Dave) Albrant of Bricelyn, Minn., Diana (Tom) of Port Angeles and Patricia (Andy) Rock of Brandon; and many grandchildren and great-grandchildren. Preceded in death by: her parents; her husband; a brother, Earl; a stepsister, Viola; and two infant children, Carolyn Sue and Roberta Lynn. Services: 10:30 a.m. Saturday, Jan. 12, at the Jamison-Schmitz Funeral Home, Oelwein, with burial in Floral Hills Memorial Gardens, rural Oelwein. Visitation will be from 3 to 7 p.m. Friday, Jan. 11, and for one hour before services Saturday at the funeral home. Condolences may be left at www.jamisonschmitzfuneralhome.com. Charlotte loved traveling and meeting new people. She was happy when she was able to travel with James and her children, Patricia and Bill. Their granddaughter Melissa went along on many of these adventures as well. Charlotte loved to sew and make quilts.